Jon Lester is reunited with Theo at Wrigley but are Cubs fans and fantasy owners expecting too much? @B_G_B_ david ortiz was quoted saying lester was devastated by the trade. guessing he knows better than most. 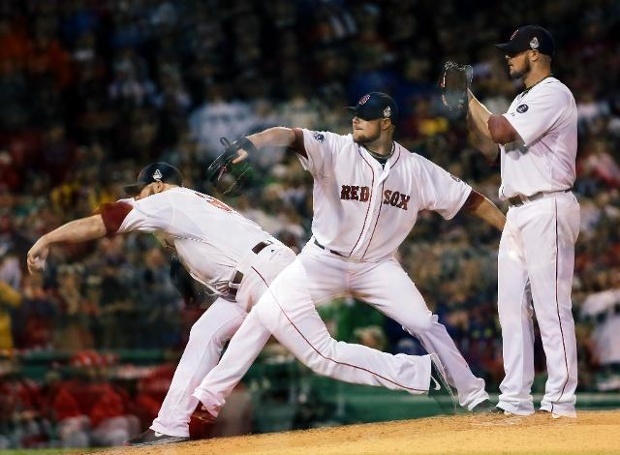 Whether Boston blew a chance to sign Lester last is a moot point now, but for fantasy purposes, what does this do for Jon Lester moving forward? Not only was 2014 one of Lester’s most successful years as a pitcher, it had some noticeable peaks. He posted career highs in swinging strike percentage (SwStr%: 9.9), a career low in HR/FB (7.2), had his best K:BB (4.58) and had his lowest WHIP (1.1). Although Lester’s repertoire has not really changed, his percentages year to year have fluctuated. In 2014, Lester primarily used his 93 MPH fastball (42%), his 89 MPH cutter (31%) and his 76 MPH curve (16%) while mixing in his sinker and change. His curveball generated a 40.8 whiff/swing rate according to BrooksBaseball.net and limited hitters to a batting average against of .155 for the season. Since his 3 main pitches all produce groundball per balls in play above 48% (FB-76%, Curve 52.5%, Cutter-48.1%) it is reasonable to say that Lester can keep the ball in the park at Wrigley. But Chicago is a better ballpark for hitters than Boston or Oakland was so that career low in HR/FB may not return. What will ultimately determine Jon Lester’s fantasy value going forward will be how many wins can he get with the Cubs and whether he can maintain the career low in WHIP. Not only that, but Samardzija has a better K/9 (8.8) than Lester (7.9) during that span. Because the Cubs were willing to deal Samardzija for another top middle infield prospect, I do not think they are done tinkering with their roster. Other than Jorge Soler and Kris Bryant, another Minor Leaguer or 2 may be on the move for another pitcher to slot in behind Jon Lester and Jake Arrieta. On the Samardzija front, he has to be ecstatic to see what a pitcher with similar stats was able to get in free agency, especially if he pitches well in Chicago. Also, pitchers like David Price and Johnny Cueto must be motivated to hit the free agent market after 2015. Not only is Jon Lester a huge signing for the Cubs, but now Chicago may be a top draw for other free agents to follow suit in 2016. I agree with the bump in WHIP, especially when you consider his career number is 1.28. If Lester can use his pitches effectively and keep the ball on the ground, the WHIP should not balloon past 1.20 in the National League. His interleague K/9 is 8.1 which is in line with his career 8.2 clip, so Lester may again break the 200-strikeout barrier. I am comfortable investing in 12 wins, 220 IP, 210/60 K:BB with an ERA between 3.30-3.50. The Cubs had to pay Lester to get him, but fantasy owners do not have to overpay to have him on their staff. Welcome to Chicago Jon Lester, it will be fun to see what the next chip that Theo plays is. Yu Darvish vs. New York Yankees – 2-0 with a 1.35 ERA in 3 career starts against the Bombers. TV Show of the Day: Satifaction – One of my new favorite shows. USA produces some of the best shows on TV. Just started folks, go get hooked! 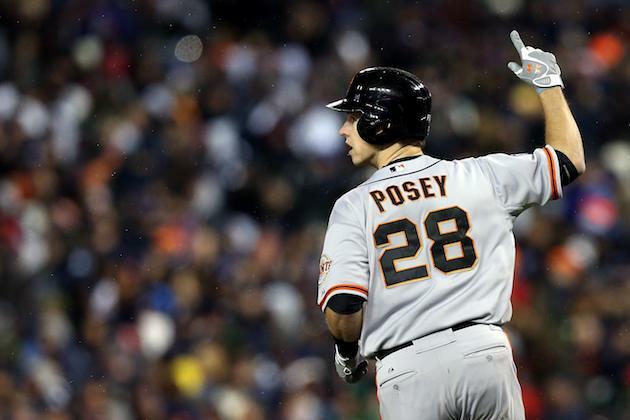 The World Series stage is set between arguably two of baseball’s most historic franchises. The St. Louis Cardinals and the Boston Red Sox both won their respective league championship series in 6 games and will meet Wednesday night for game 1. The two teams are both 97 and 65 on the year and are no stranger to facing each other in the World Series. The Red Sox swept through the Cardinals in the 2004 World Series after losing to the Cardinals in 1946 and 1967. The winner of this World Series regardless of who it will be only the third team to win 3 World Series in a 10 year span. The Red Sox made the turn from one of baseballs worst teams last year, to the best in the American League this year. The change of managers bringing in John Farrell to lead them changed the attitude in the club house for a team that was full of turmoil last year. The attitude change Farrell brought with him as proven to be just what the Red Sox needed as they are now on top again. The Red Sox have several veteran guys like Pedroia, Ortiz, Ellsbury, Napoli and others who lead their team at the plate. 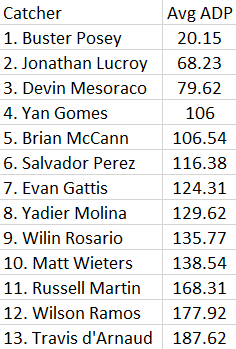 They have a solid pitching staff who were 11th in ERA this year. They will need for the back-end of the rotation in Peavy and Bucholtz to pitch up their potential in this series. The Red Sox will be faced with not having the DH when they play in St. Louis which does hurt them slightly having to take Napoli or Ortiz out of the line up. The Red Sox have an incredible bullpen and they need to get the games in their hands with lead to close out games if they want to win the World Series. The Cardinals were suppose to be rebuilding when Albert Pujols bolted in free agency two years ago. They didn’t rebuild instead they just reloaded and were a game away from being in the World Series last year after blowing a 3-1 lead to the Giants. They wouldn’t make the same mistake this year as they closed out the Dodgers in 6 and are back looking for their 2nd title in only 3 years. The Cardinals have one of the best pitching staffs in baseball coming in with the 2nd best ERA on the year. The most appealing part of that stat is most of that occurred with Michael Wacha down in the minor leagues. Wacha is no minor leaguer at this points in fact you could argue that he’s just as much an ace now as Wainwright is. The Cardinals much like the Red Sox will have to worry about what kind of pitching they will get out of Joe Kelly and Lance Lynn once they pitch Wainwright and Wacha. 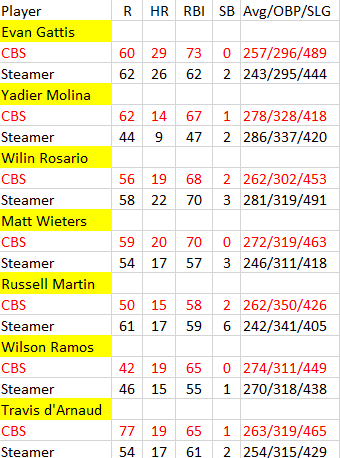 They get a huge boost in the batting order as it looks like Allen Craig is going to be healthy enough to DH for them in Boston after missing the later part of the year and all of the playoffs up until this point. Craig is arguably one of the best hitters in clutch situations and should be huge in the World Series if he’s able to come back anywhere close to the guy who hit over .300 this year. The Cardinals need their “aces” in Wainwright and Wacha to continue to pitch the way they have in the playoffs and if they do that in the 4 games they pitch the Cardinals have a good chance of winning the World Series. I’m going with the Cardinals in 7 games as I just trust their pitching staff to keep the Red Sox bats at bay. This is going to be a fun one to watch whether you like the Cardinals, Red Sox, or are just a fan of baseball. It’s not often you see the two best teams in a sport make it to the championship, but baseball have given us that this year. The latest voting numbers for the MLB All Star Game were released over the weekend and the race in the American League is certainly heating up. Third baseman Miguel Cabrera of the Detroit Tigers is reigning supreme with 4,337,223 votes and on pace to set record numbers for overall votes. Currently Josh Hamilton holds the record for the most All Star votes received at 11,073,744 in the 2012 season. The Baltimore Orioles are making a splash with 4 position players occupying the lead in votes. In the outfield, the battle for the final spot is a close one. Chris Davis of the Baltimore Orioles has a secure spot with 3,960,299 votes, the second most overall votes. 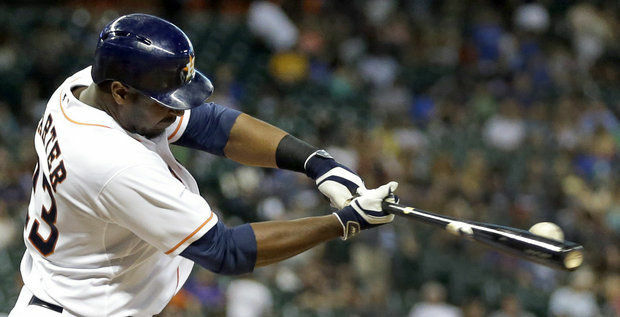 Davis is having an impressive season leading the league with 27 homeruns, has 69 RBI’s and is batting a .336 average. Prince Fielder of the Detroit Tigers follows Davis in votes with 2,579,031. Fielder has 12 homeruns, 55 RBI’s, and is batting .275. Robinson Cano of the New York Yankees is leading the voting with 3,032, 183 votes. Dustin Pedroia of the Boston Red Sox occupies the number 2 spot with 2,135,499. 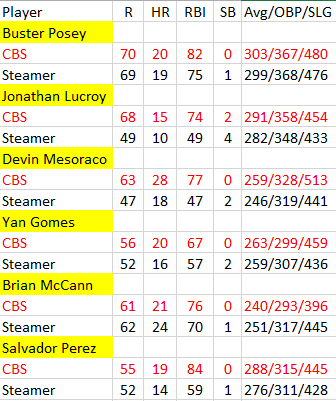 Cano and Pedroia have similar 2013 numbers, Cano with 44 RBI’s and a .278 average, Pedroia with 41 RBI’s and a .305 average, but the real difference comes in the power hitting. Cano has 16 homeruns on the season while Pedroia has 4. Traditionally power hitters draw the most interest from fans. While J. J. Hardy of the Baltimore Orioles still holds the lead in votes, Jhonny Peralta has moved ahead of Elvis Andrus in voting. The more deserving short stop is hard to decipher. Peralta has had a fantastic season thus far, batting .331 with 31 RBI’s and 6 HR’s, and only 4 errors on the year. Of Hardy and Andrus, he has the best fielding percentage. However, Hardy is a power-hitting short stop with 14 HR’s. He has 43 RBI’s and a .270 batting average. Hardy has been on a tear as of late and is the reigning Gold Glove winner. A case can be made for either. Currently, Hardy has 2,788,972 votes compared to Peralta’s 1,838,500. Miguel Cabrera has comfortably claimed a spot on the All Star team with Manny Machado second in voting with 2,097,804 votes. Cabrera is on pace for another career-defining season with 74 RBI’s, 20 HR’s and a .368 batting average. Machado is having a breakout year and may well be the best overall 3rd baseman in the league; however, he plays the same position as the best pure hitter in baseball. Machado has 64 RBI’s, 12 HR’s, and a .299 batting average in 2013. Joe Mauer of the Minnesota Twins holds the starting spot at 2,788,972 votes. Matt Wieters of the Baltimore Orioles is second with 2,068, 032 votes. Mauer should get the spot as he is having a more consistent season at the plate. Wieters has had an under-performing year, hitting .233 with 37 RBI’s and 9 HR’s, but has thrown out 48% of attempted steals. Mauer is hitting .327 with 25 RBI’s and 8 HR’s, while throwing out 40% of attempted steals. David Ortiz of the Boston Red Sox claims the DH spot with 3,247,462 votes (batting .309, 16 HR’s and 55 RBI’s). Lance Berkman of the Texas Rangers is far behind with 1,519, 503 votes. Third in voting is Edwin Encarnacion (1,091,593 votes) of the Toronto Blue Jays who may be more deserving of the spot. While Berkman is hitting .260 with 33 RBI’s and 6 HR’s, Encarnacion is hitting .269 with 59 RBI’s and an impressive 20 HR’s on the year. With Adam Jones of the Baltimore Orioles and Mike Trout of the Los Angeles Angels looking secure in the first and second outfield spot, 3,571, 693 and 3,548,195 respectively, there is a 3-way battle for the final spot. Nick Markakis of the Baltimore Orioles holds a slim lead at 1,915,860 votes. Close behind him is Jose Bautista of the Toronto Blue Jays with 1,867,367, a lead of only 48,000 votes. This week’s voting update puts him ahead of Torii Hunter of the Detroit Tigers, who currently has 1,851,657 votes, only 16,000 behind Bautista. If Jones and Markakis both get a spot it will be the first time in Orioles franchise history that outfield teammates are selected and only the 17th time in MLB history. Max Scherzer of the Detroit Tigers has a spotless record in the 2013 season at 11-0, an impressive stat even with the support of the Tigers’ strong offensive line-up. He has also struck out 6 or more batters in each of his 15 starts, the fourth longest consecutive streak. Holding batters to a .192 average, 122 strikeouts, and an ERA of 3.05, Scherzer is a worthy candidate for starting pitcher. Between Scherzer, Justin Verlander, Anibal Sanchez, and Doug Fister, of the Detroit Tigers, AL Manager Jim Leyland has a plethora of options on his own roster. Other candidates for the starting position include Yu Darvish of the Texas Rangers and Clay Buchholz of the Boston Red Sox. Darvish boasts an incredible 143 strikeouts, holds opponents to a .208 batting average, and has an ERA of 2.95. Buchholz has 81 strikeouts, holds opponents to a .195 batting average, with an ERA of 1.71. However, Buchholz is currently on the 15-day DL making his availability uncertain. In relief, Mariano Rivera of the New York Yankees should be an easy selection. Already with 26 saves in 2013, 43-year-old Rivera has 634 regular season saves as well as 4 All Star game saves. Rivera is set to retire after this season. While securing a spot on the All Star roster is not necessarily an indication of stellar performance on the season (see Derek Jeter who managed to accumulate 819,175 votes) we are looking at a crop of the very best representing the American League. Voting is open until July 4th. 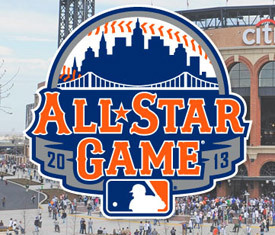 Visit MLB.com to cast your ballot.